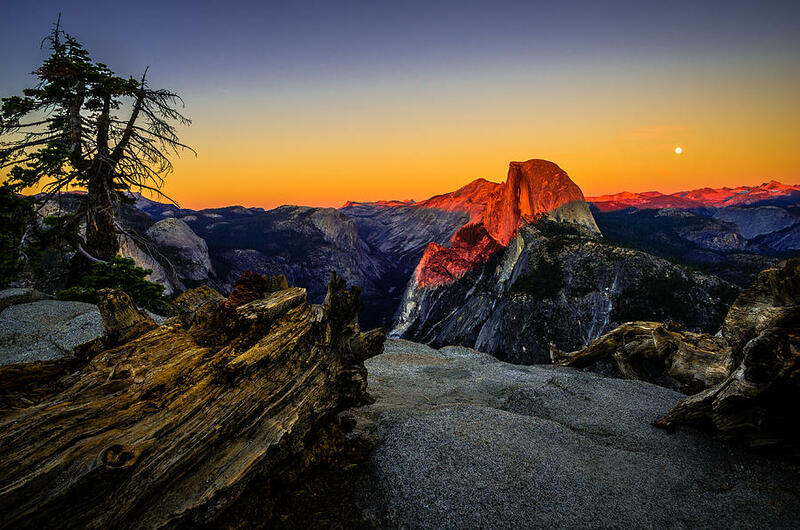 Yosemite National Park is a popular landmark that is located in the state of California. It's known for being one of the most majestic and beautiful destinations in the United States. 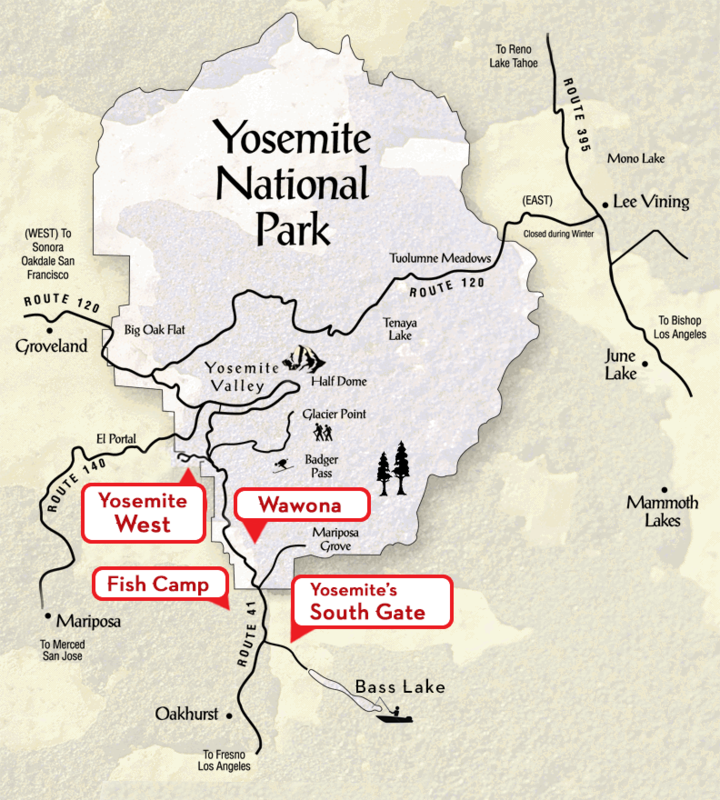 Many people wonder about the specific location of Yosemite National Park. The park is actually located in Sierra Nevada, California, which is a mountain range that stretches over 400 miles. Over 3 million people visit Yosemite each and every year. Many people visit Yosemite National Park for hiking, rock climbing and sightseeing, but others simply come to enjoy the Park’s beauty and to relax. Yosemite National Park was the very first park to be set aside by the U.S.
Government for preservation and protection. Often times, people think Yellowstone was the first protected National Park, but that belief is completely false. Yosemite Falls is the highest waterfall in the United States and is also a tourist hot spot. Yosemite National Park is approximately 1,189 square miles, which is almost as big as Rhode Island. Years before becoming a popular vacation destination, Yosemite National Park was inhabited by the Paiute and Sierra Miwok people. These tribes lived in this lush California region for years until white settlers began exploring the area. In the mid 1800s, during the California Gold Rush, people began to travel to the area. In 1851, the United States Army chased 200 Ahwahneechees out of Yosemite during the Mariposa Wars. This battle led to more people entering the valley and taking over the land. After the battles, Dr. Lafayette Bunnell documented his experience while in the mountainous region and named his book The Discovery of the Yosemite. Bunnell is known for naming the region “Yosemite”. In 1855, the first tourists arrived in Yosemite, taking numerous photographs and creating beautiful drawings of the land, which were widely distributed. Shortly after, more and more people started visiting Yosemite, which became a National Park in 1916. Yosemite has what is known as a “Mediterranean” climate. This means that most precipitation occurs during the winter months. All other months are fairly dry, with less than 3% precipitation during the Fall, Spring and Summer. For this reason, Yosemite is an ideal vacation destination at all times of the year as most people enjoy the mild weather. Looking for current Yosemite National Park weather conditions? If so,www.nps.gov provides continual updates. If you’re looking for Yosemite National Park lodging, call Yosemite’s Scenic Wonders at 1-888-YOSEMITE (1-888-967-3648) to begin planning your memorable vacation. We offer quality home, condo and cabin rentals inside of Yosemite National Park at reasonable prices!